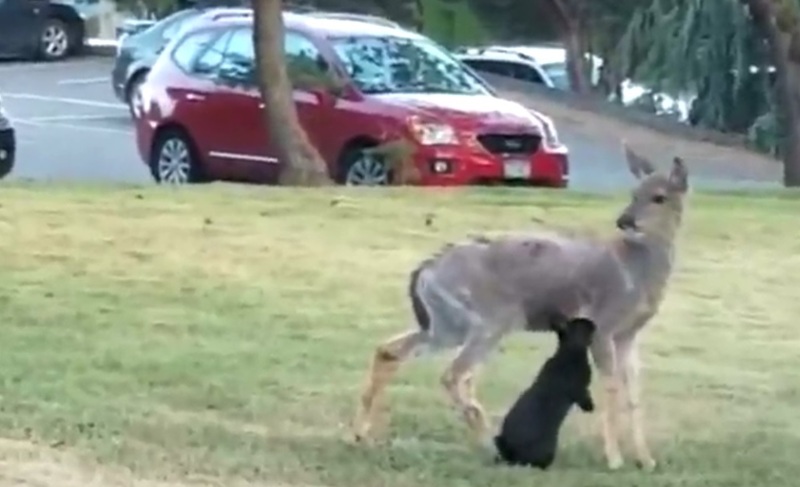 COMOX, B.C- A pair of wild animals in Comox could have starred in a Disney movie recently. 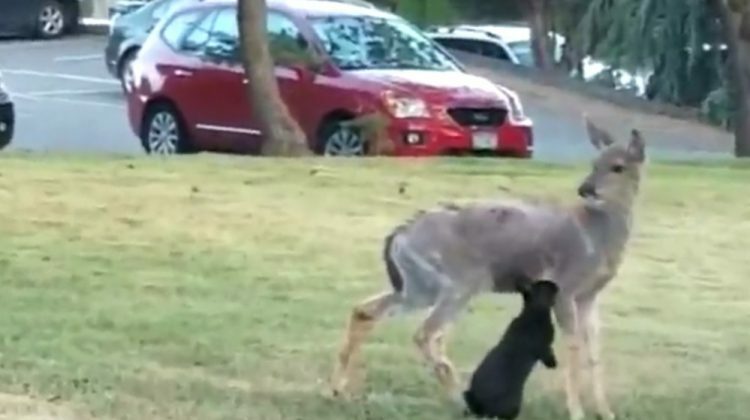 A young deer and a black rabbit were caught on video playing together in one of the community’s downtown parks by Tomas Avendano, a visitor to the Island. Avendano posted video of the pair last week to his Facebook page, where it has since been viewed thousands of times. Avendano told MyComoxValleyNow.com that he wasn’t expecting the video to go viral. “I was just stoked to share it with my friends, who I knew would really love it,” said Avendano.